We are pleased to announce the appointment of Linus Fuchs as Sales Manager for the Nordic and Baltic countries. Linus takes over from Ville Saarinen who is moving on to new challenges as LEDiL’s new Distribution Manager. Ville will take care of and develop the co-operation between LEDiL and our distribution network. Coming from one of Finland’s biggest and most beautiful islands, Kimito Island, Linus is a keen sailor and fluent in Finnish, English and Swedish. 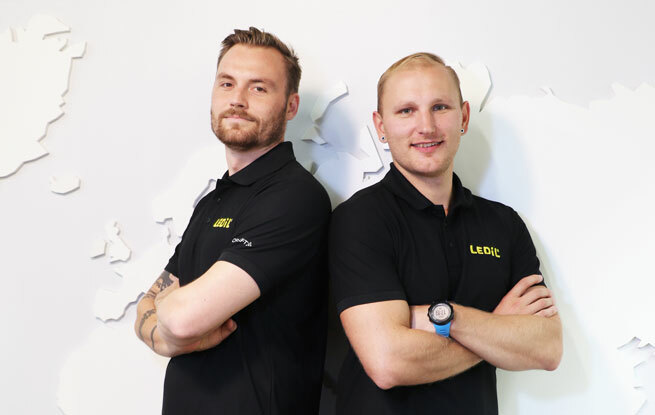 With experience in sales both in Finland and Europe, we have every confidence Linus will be an asset to team LEDiL and our customers and partners. ‘I am delighted to be joining LEDiL at this exciting time in our growth and am very much looking forward to working with the team and our Nordic and Baltic country customers and partners to create a future full of light that is right’, says Linus. We are sure you will join us in wishing Linus and Ville every success in their new roles.